Readers, I’d like to introduce my guest blogger, Karen Greve Young. 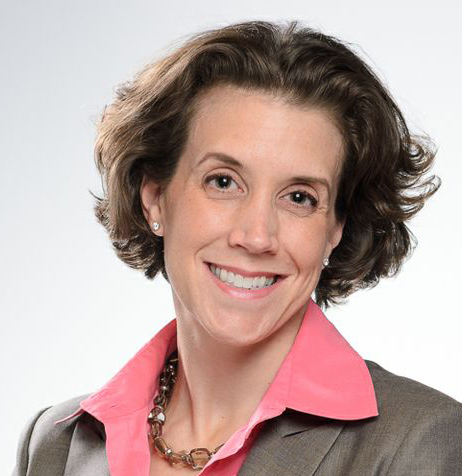 Karen is, in no particular order, an author, a professional strategist, an MBA, a wife and mother, an athlete, and my beloved niece. I have friends from Boston. For a while, I had family in Boston, attending Boston College and Harvard. 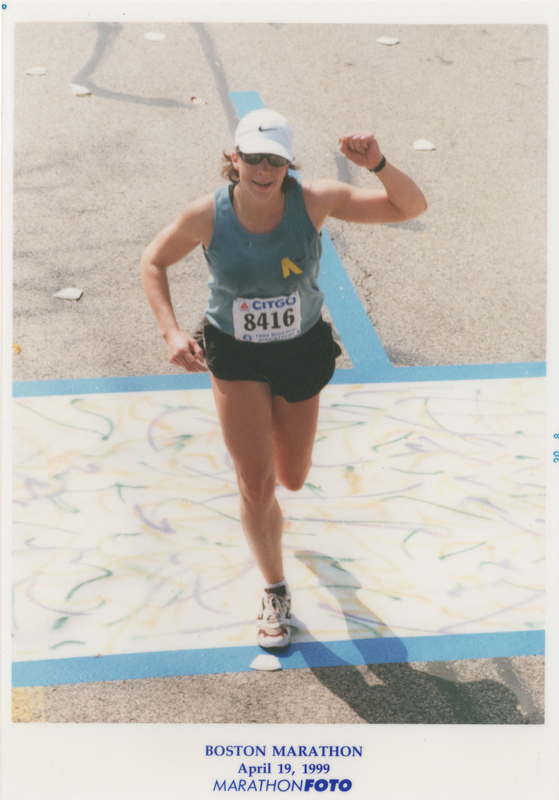 And, as I read online yesterday, “Today, we are all from Boston.” For these reasons and because Karen writes so eloquently about marathons, human instinct, and hope, I’m happy to run her article in this month’s blog. I used to run marathons. My first one was in Napa Valley, in 1997. I had trained for months, running 20-40 miles a week along the San Francisco Bay and Pacific Ocean. I was driven by my love of running, and I have to admit it, my fear of failing. No matter how well my training was going, I was afraid I would “bonk” before the finish. “Bonking” or “hitting the wall” is the endurance athlete’s nightmare – when you deplete your body’s energy before the finish line. The goal is to push yourself to your limits – just not beyond. It wasn’t until I saw the finish line that I was certain I would cross it – what a feeling of achievement and relief! And to confirm a myth, yes, a few Napa Valley Marathon spectators sitting at the end of their driveways were cheering while sipping what looked suspiciously like wine (the race starts at 7am). As soon as I finished that race, I set my sights on my ultimate marathon goal: Boston. Boston is the only marathon I know of that requires runners to achieve a qualifying time. Eighteen months and hundreds of training runs later, in California’s Humboldt Redwoods, I had the race of my life and ran a qualifying 3:36. I was going to Boston! My training shifted from constantly pushing my pace to qualify for Boston to putting in just enough miles to enjoy and finish the race. At the halfway mark, I felt strong and was on my way to a new personal best. Then the heat and my unaccustomed fast pace started to kick in, hard. When I reached Heartbreak Hill at mile 21, it seemed to break my heart, my stride, and my spirit.I shuffled along the last six miles in blistering heat thinking every step, “I have to finish. I can’t finish. I have to finish. I can’t finish.” By the time I turned the corner onto Boylston Street at mile 26, all I could do was force one foot in front of the other. Then I saw the finish line and thought, “I have to pick it up for the finish. This is Boston. I can do this!” So I tried to sprint. Instead, I fell, hard, on the hot asphalt. I stood up, took a step, and fell again. And then again. I stood slowly and looked at the finish, three blocks away. It was right there! But I couldn’t move my legs. I had bonked. Then, I felt bodies on both sides of me, as an older man and woman put my arms over their shoulders, reached around my waist and helped me walk. Gratefully, exhaustedly, I hobbled between them as they sacrificed their finish times so I could finish at all. At the finish line, I was immediately put in a wheelchair and surrounded by race volunteers who whisked me away to the medical tent.I don’t know the names of the people who helped me across the line that day, but I will never forget them. My Boston Marathon race pictures – depicting my strong but naive pace at mile 13 and my body collapsed in a wheelchair at the finish – are next to my treadmill at home. They remind me that I have to put in the training to get what I want. They remind me to set high goals and really go for it. They remind me to persevere, even when it really, really hurts. And the pictures remind me of the two people, who had never seen me before or again, who helped me achieve one of my life goals. To this day, I’m not sure if I even thanked them in my exhausted stupor. But I think of them every time I look at my race pictures. 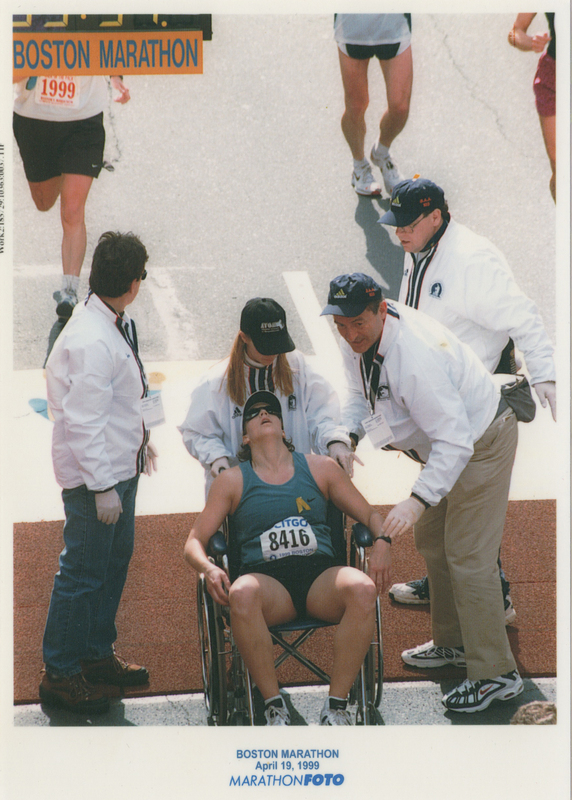 This week, 14 years after my Boston Marathon, the finish line was tragically racked by injury and grief. And the community – runners and non-runners – immediately stepped in to help. Last night, I felt compelled to run. With every step, I thought about this year’s competitors and supporters, and I rekindled the magic spirit of Boston, that terrorism can’t quell. As I ran, I wrote this blog in my head. Because suddenly, I could reconcile my experience with this one. Because as horrible as things can be, the human instinct that leads people to help total strangers in crisis – not to mention those who work every day to help people in need – means there is hope. My heart goes out to those injured and affected by this year’s Boston Marathon horror. I fervently hope that the only heartbreak at future races is on Heartbreak Hill.